In the first segment of the three-part documentary entitled What happened in 2006, the Israeli interviewees – which include Amir Peretz, Tzipi Livni, and Eyal Ben-Reuven, are heard discussing the war and the capture of Eldad Regev and Ehud Goldwasser. In addition, the documentary included an interview with Tomer Weinberg who was lucky to escape the tank under Hizbullah attack. Weinberg is heard on the documentary describing at length the circumstances surrounding the attack. 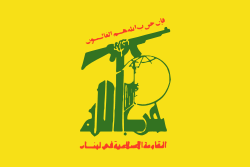 “The moment the firing started I realized that it was coming from Hizbullah. I opened the door of the tank, I didn’t look at my friends who were sitting on the back seats and I fled.” A very smart Jew soldier who believes that it’s better to live as a coward than die defending fellow soldiers. We interviewed the soldier who was injured and who managed to escape but his capture was not part of the operational order which is why we didn’t take him. The daring operation has resulted in severe embarrassment for the former Israeli officials, who are largely considered responsible for the strategic miscalculations that ultimately led to Hezbollah victory following the 33-day war in Summer 2006. This is not the first time Hizbullah supporters duped Israeli officials. In 2000 Israeli Col. Elhanan Tannenbaum, who held an important position in the Israeli occupation’s Northern Command, was lured to Lebanon by a Palestinian agent of Hizbullah for the purpose of conducting a drug deal. He was released later as part of a prisoner exchange that resulted in the release of 435 Palestinian and Lebanese civilians held in Israeli jails. The Islamic Resistance also has a strong reputation for its media prowess. During the 2006 Israeli invasion, Hizbullah-owned television station Al-Manar broadcast daily clips in Hebrew and Arabic that publicized its achievements throughout the conflict while Israeli forces continually bombed the station’s facilities in contravention of international law. In spite of the bombings, the station, known as the Station of the Resistance – continued its broadcasts, largely uninterrupted.